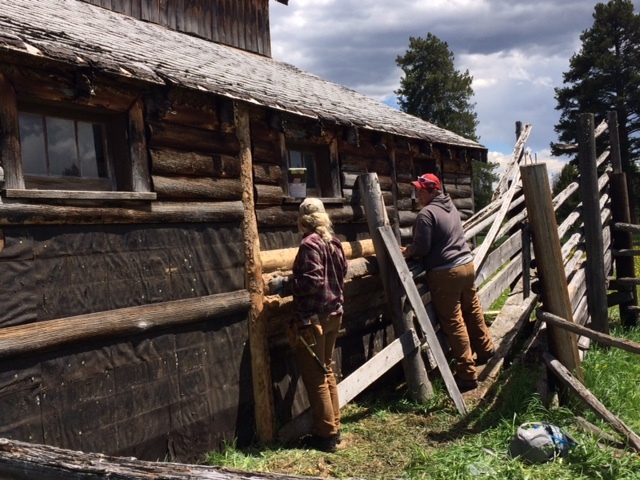 This week the Estes Crew had the opportunity to work on a special trails project with the NPS. 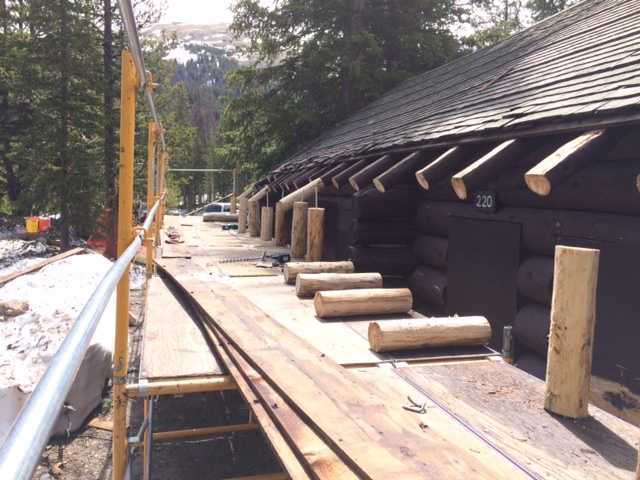 On Tuesday there was a helicopter operation for transporting three 2000+ lbs metal support beams and 8 bundles of native wood to build and repair bridges backcountry on the trails. We were fortunate enough to help with this process as we were road and trail guards. 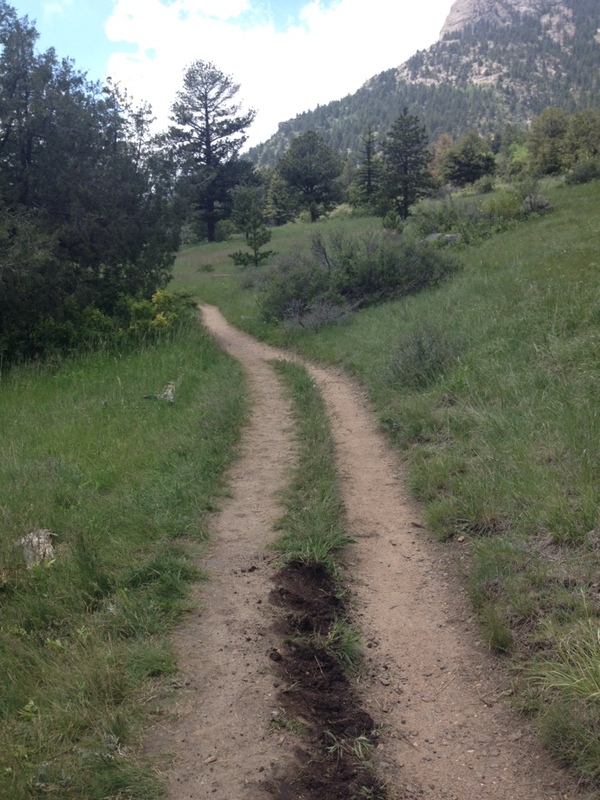 On Wednesday we performed a maintence run to Pear Lake, a 12 mile loop, where over 11 trees were cut from the trail. On Thursday the week concluded by working near the Cow Creek Trailhead using pack llamas to help transport rocks and dirt up the trail to repair tread and eroded areas. .
Tuesday our groups of 3 switched places, with Jenna Margaret and Kris attaching the new rafters with fiberglass rebar and Epoxy to the CCC Mess Hall. 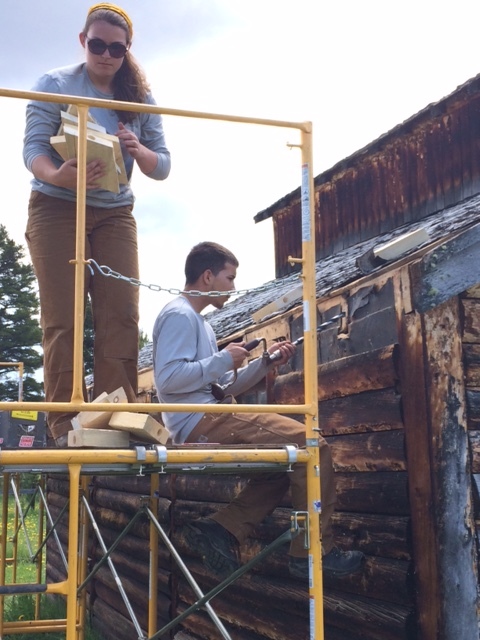 The Mess Hall work moves a little faster with the help of power drills and chainsaws, but there’s nothing like using your own brawn to saw and drill, as Joseph, Dhante and Logan learned at the barn. 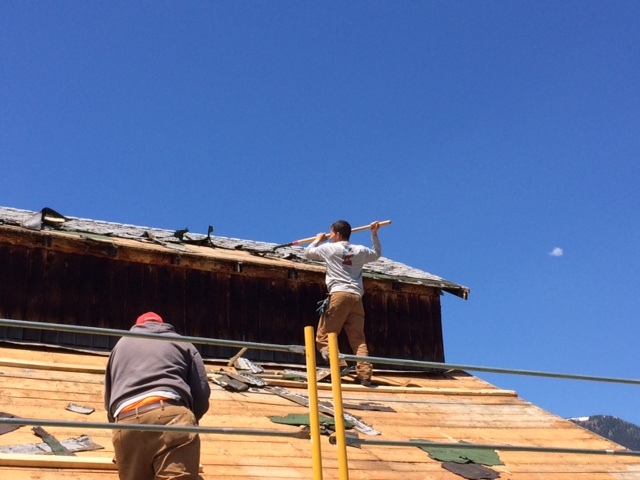 Wednesday and Thursday the crew was reunited, all working on de-shingling the barn and replacing rotted siding boards. Wednesday night for crew dinner, Margaret taught the crew how to make quiche with homemade pie crust! 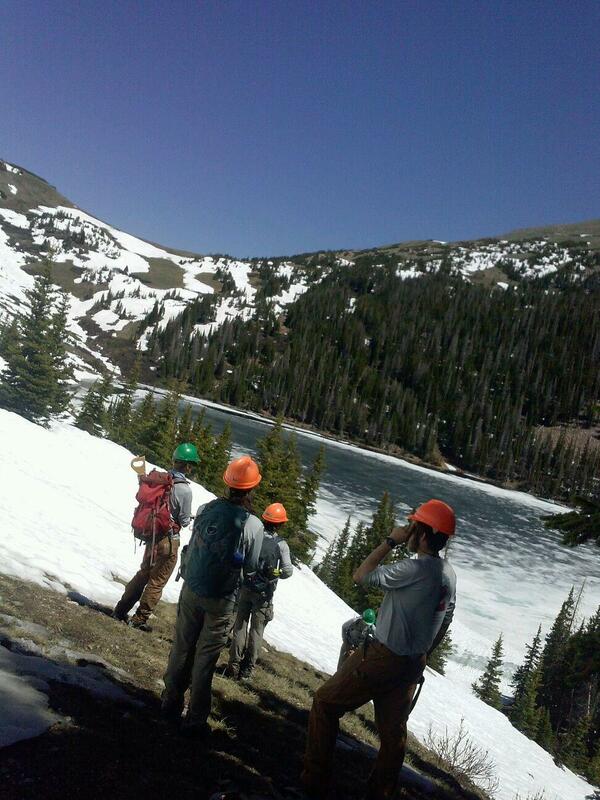 To finish off the week, some of the crew hiked into the gorgeous Never Summer Wilderness, up to the Grand Ditch. 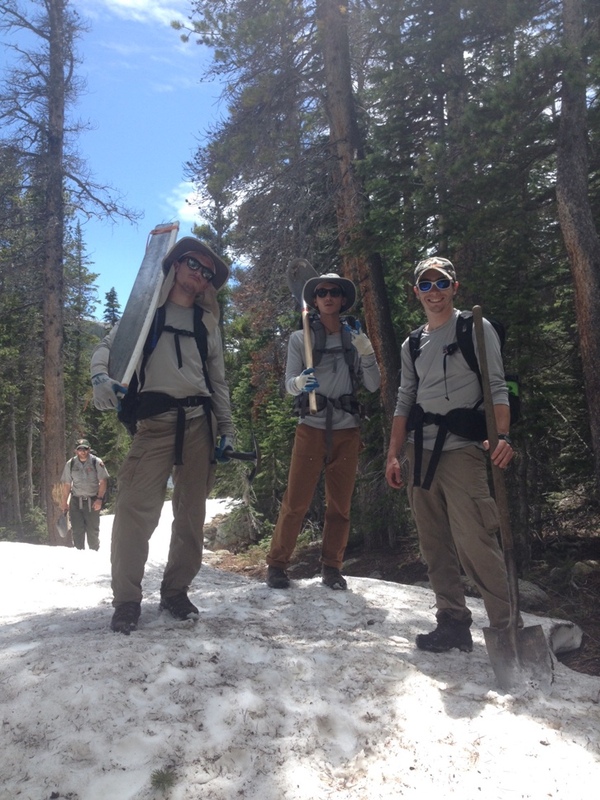 The Rawah Crew hit the trails hard this week clearing 45 trees and 154 drains on the Lower McIntyre and Link trails, and all the way to Blue Lake and Zimmerman Lake. Our first two days were spent on the McIntyre Trail where a portion of our time was spent repairing a large flooded out area of the trail. The crew built a 30 ft long rock wall blocking the flow of Stub Creek from rutting out the trail further. The next day we headed south to work on the Blue Lake Trail. Focusing on clearing trees at the beginning of our day, we were rewarded with an awesome view of the Mummy Range in RMNP once we reached Blue Lake to rest and eat lunch. 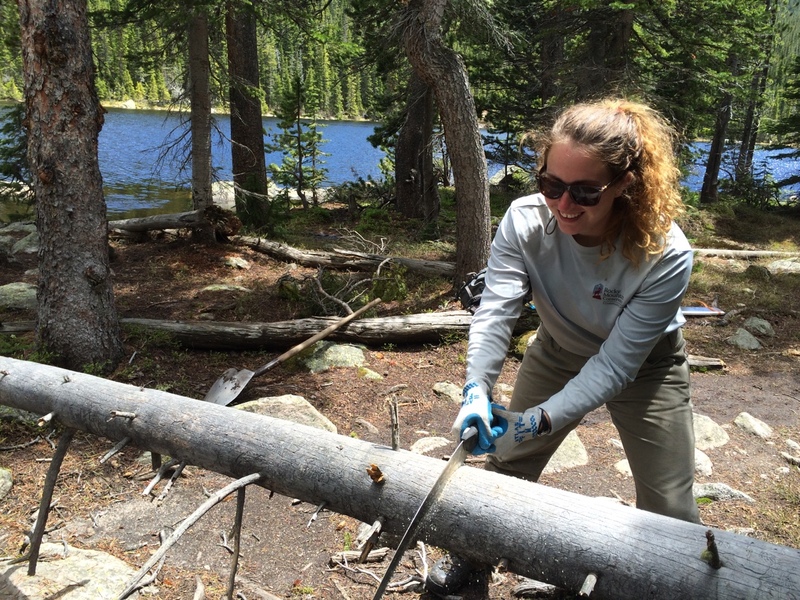 On Thursday, we started the day on the short Zimmerman Lake trail and then spent the rest of the day clearing tons of hazard trees from the Link Trail. We only got a mile and a half up the trail and cleared at least 30 trees! 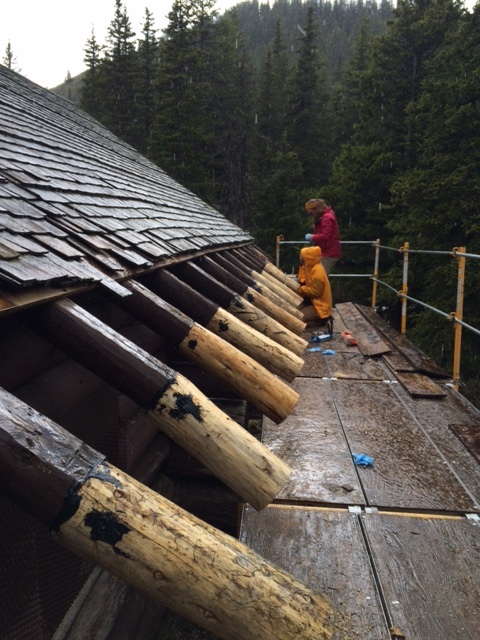 We are excited to receive our crosscut next week and can’t wait for the snow to melt so we can work and explore the Rawah Lakes at higher elevations! 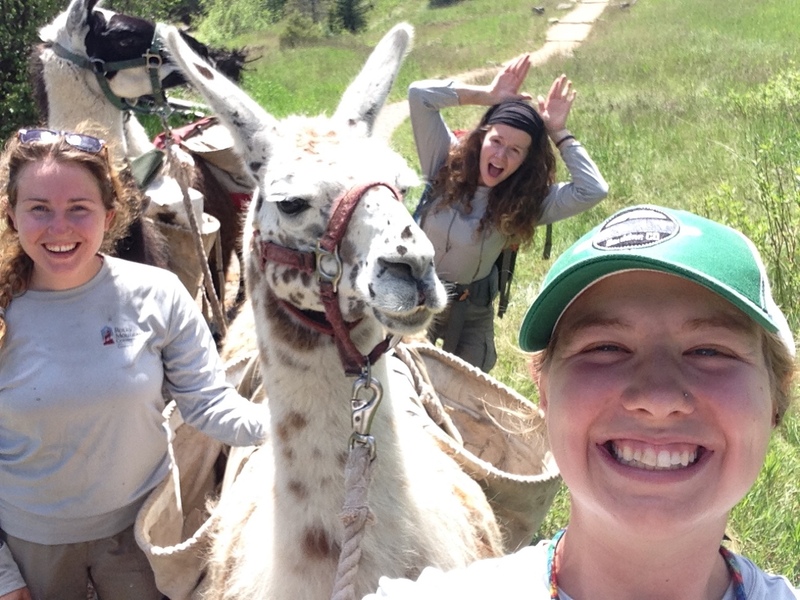 The Boulder Crew received a taste of trail success during week number two of our conservation work. 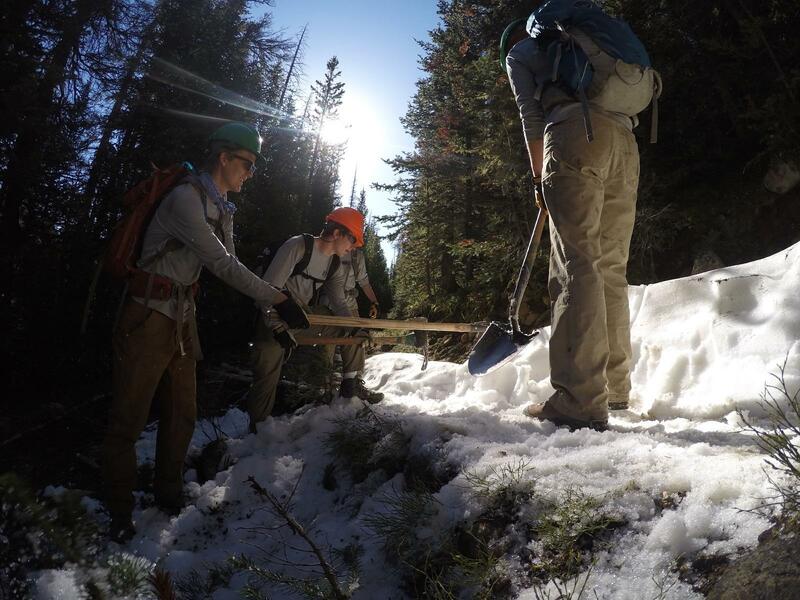 Our Forest Service supervisors of the Boulder Ranger District directed our team of young conservationists on trail projects in two beautiful and diverse locations in the Roosevelt National Forest. 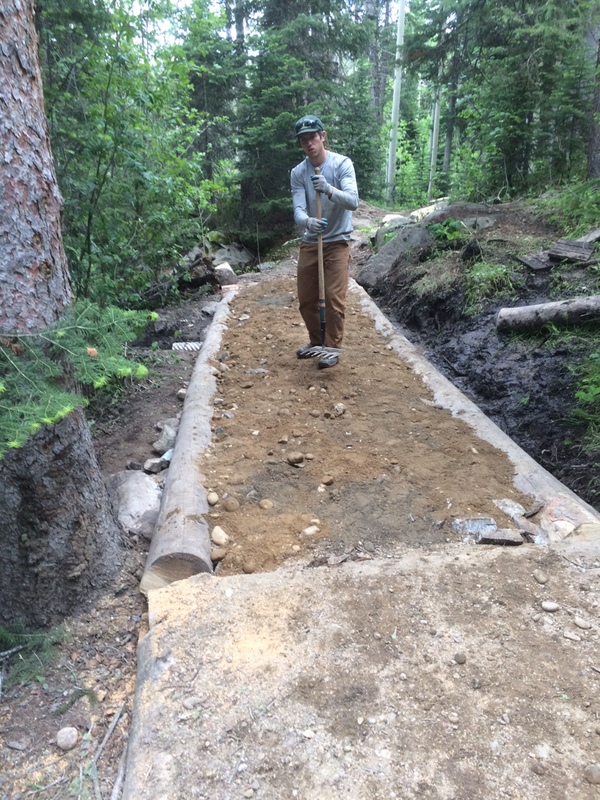 Our week started bright and early at the Buchanan Pass Trail as we started construction of a turnpike extension over heavily used and poorly drained soil. A turnpike in trail terms is an elevated tread way that is arched so that water drains off the surface an into a trench dug to the side of the sidewalls. 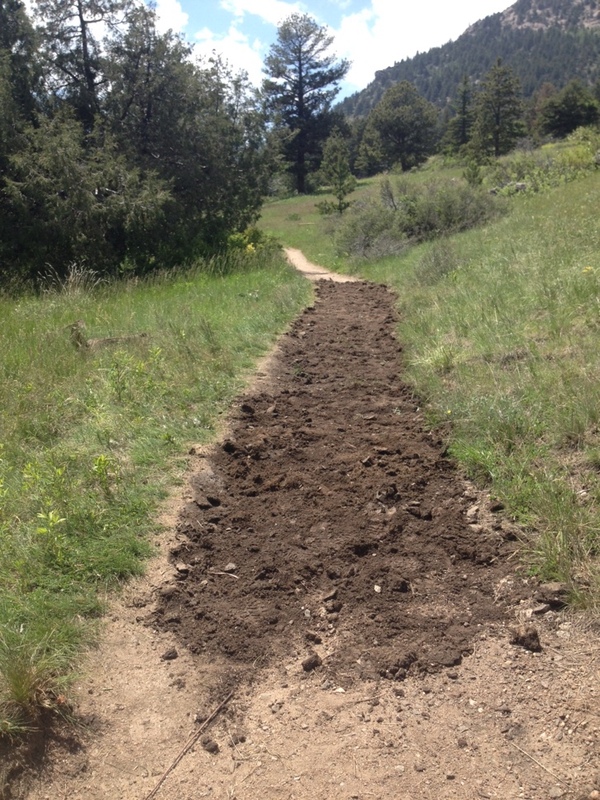 This was a tiring yet rewarding project that proved Boulder’s dedication to improving our public trails and working as a team of land stewards. We had a break from the turnpike on our third day of work as we laced up our boots and completed a day of maintenance to the Lost Lake campsites, where we removed unnecessary fire rings that scarred the earth and increased forest fire probability. This day also consisted of removing hazardous dead trees over the trail and fire rings that posed a threat in riparian zones around the lake. On Friday we could see our turnpike come together to look like a an effective trail feature, something we are all so proud of! 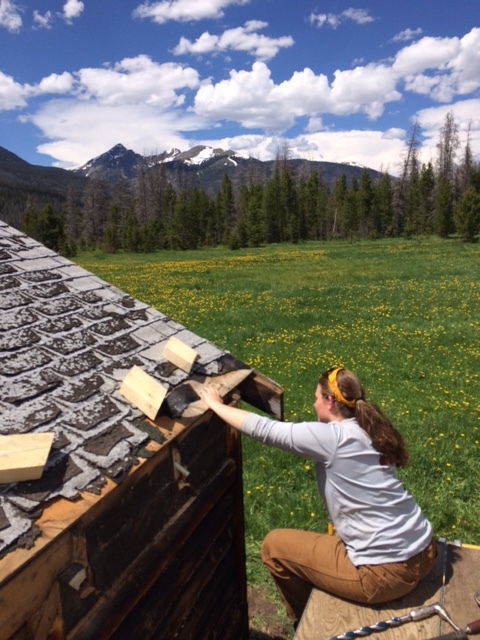 This week let us better understand our growing appetites, typical of a trail worker after a long day of improvements, and has left us hungry for more conservation work this summer season! Buchanan Pass Trail after turnpike construction.